Story: Perhaps nowhere in sports is the marriage of athleticism and grace more evident than in the arena of world champion pairs figure skating-the lifts, the jumps, the routines. The perfect score results from the perfect blend of strength and sophistication, prowess and artistry, brawn and refinement. It's an elegant world, a rarefied universe, a noble place populated by the creme de la creme of skating elite. When the macho, swaggering Chazz Michael Michaels takes to the rink, he is the rock star of the arena, leaving a trail of thrashed ice and shrieking female fans in his wake. The only competitor who can match Michaels' scores (on the ice, that is) is the driven former child prodigy, Jimmy MacElroy. Spotted as a youth executing triple lutzes on the frozen pond of an orphanage, MacElroy was whisked away to days of endless training, and now stands as the picture of poise, the personification of the highest ideals of the men's sport. Michaels and MacElroy have met in finals rounds before, but their latest head-to-head at the World Championships-when they tie for first-is more than either one can bear, and their longstanding rivalry erupts into a no-holds-barred fight. The ensuing brawl not only sets fire to the World Championship's helpless mascot, but lands both athletes in hot water: Chazz and Jimmy are called before the sport's governing board, stripped of their gold medals and banned from the sport for life. But then, inspiration (in the form of an over-friendly, former stalker of Jimmy's) strikes, and a loophole emerges. 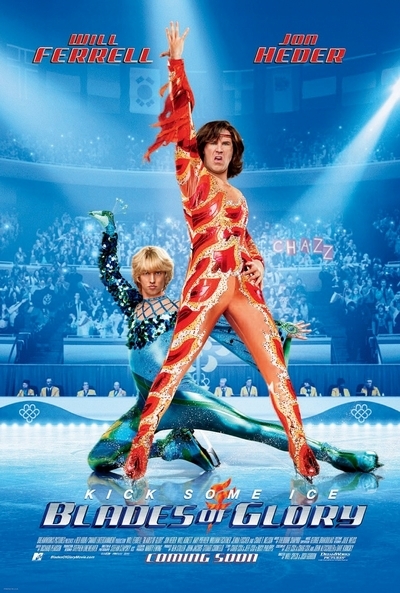 To skate again, all Chazz and Jimmy have to do is set aside their long festering hatred of one another and join forces-as the first male/male figure skating pair to compete in the history of the sport. ... if the sport survives, that is.